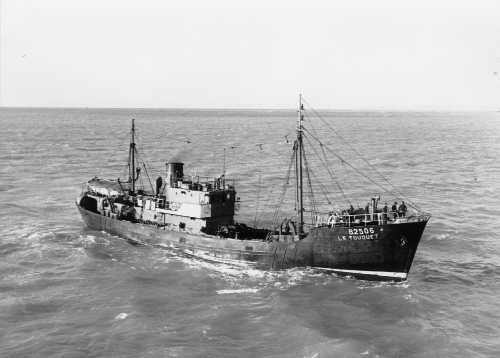 Michael McFadyen's Scuba Diving - MV Semle Federsen In 1949, the shipbuilding company Navals de Caen of Blaineville sur Orne (Calvados, Normandie) which is (I think) near Le Harve, France, built a side fishing trawler named Le Touquet for Pollet Freres and Cri of Boulogne sur mer (on the sea), France. The new ship was 43.5 metres long (although I have also been advised that it was 39.6), 7.5 metres wide and it displaced 297 tons gross. Its registration number was B2506. I have been advised that it originally had a steam engine but I need to find out more about this. Later it had two four cylinder diesel engines (built, I think, by Christiansen & Mayer ) driving twin props which were changed to twin five cylinder engines at some time. In July 1958 the Le Touquet was sold to Jules Lefort, Albert Massif, Gaston Tocque, Philippe Lemesle who (I think, owned) Societie D�Armement des Saleurs Fecampois of Fecamp, France. Its registration was now F1161. This was a short-lived ownership as in June 1959 it was sold to Milford Fisheries Pty Ltd from Milford Haven in Wales. It was obviously used as a fishing vessel but over the next few years it was modified a fair bit. The first was that the twin engines were removed in 1960 and replaced by an eight cylinder diesel engine (this was removed, reconditioned and refitted in 1968). The ship was converted to a single prop at the same time. In 1962 it under went even more changes. First, the Le Touquet was sold to Fosnovag Havfiske of Alesund, Norway (Alesund is a decent size town in the fjords of Norway near where I dived in October 2000 - Fosnovaq [correct spelling Fosnavaq] is a smaller town on the island next to where I dived). At the same time it was renamed Fosnavaq but more importantly, it was lengthened and modified as a general cargo motorship. An almost five metre section was added to the vessel bringing the length to 48.2 metres and increasing the displacement to 405 tons. For the next 19 years or so the Fosnavaq traded the Nordic countries. 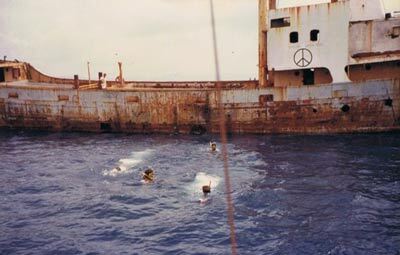 In 1981 the vessel was renamed Semle Federsen and may have been sold then to the Baltic Schooner Association Ltd of Georgetown in the Cayman Islands. However, Lloyds Register shows the vessel as being still owned by Fosnovag Havfiske until 1983-84 so it is possible it was just leased out. Presumably she traded around the Caribbean for the next few years. However, I have found a report that indicates the Semle Federsen was in Vanuatu in 1980 so it may be that it was leased out and was actually working in the Pacific. The report states that when the rebellion occurred on Santo in May 1980, the ship was used to evacuate refugees from Santo. It is stated that on the night of 30 May 1980, a large number of the residents of Santo fled and went to Tangoa Point at South Santo. 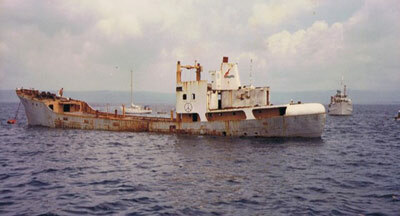 In about 1984 the Federsen was sold to Vanua Navigation S.r.I. of Port Vila, Vanuatu but it was appears to have been unable to meet survey. 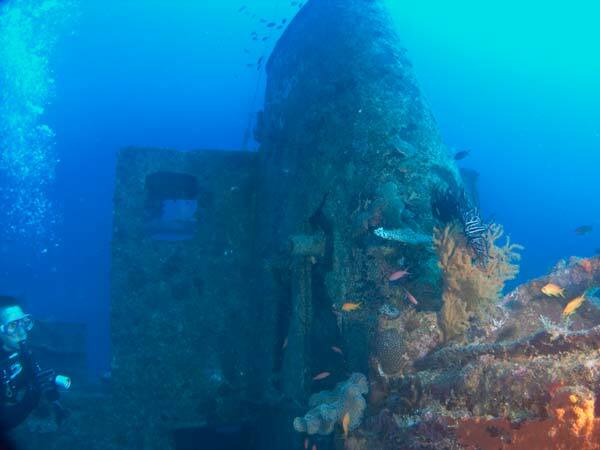 On 15 December 1985 she was scuttled as a dive site a few kilometres outside Port Vila Harbour in about 30 metres of water. 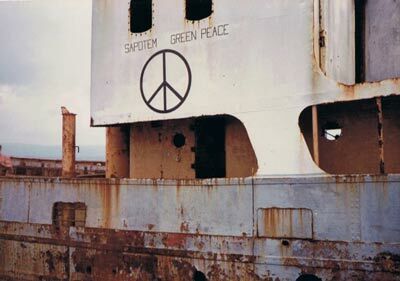 A series of signs saying "Sapotem Green Peace" were painted on the bridge area. This is Bislama for "Support Greenpeace". This was because Greenpeace's ship Rainbow Warrior visited Port Vila shortly before it was sunk by French secret agents on 10 July 1985 in Auckland Harbour. As I have indicated above, the Semle Federsen, was originally sunk in relatively shallow water. However, the Semle Federsen was moved to deeper water by the huge seas whipped up during Cyclone Uma in 1987 (an enormous storm as I arrived in Port Vila a few days after the storm hit and experienced the damage first hand). 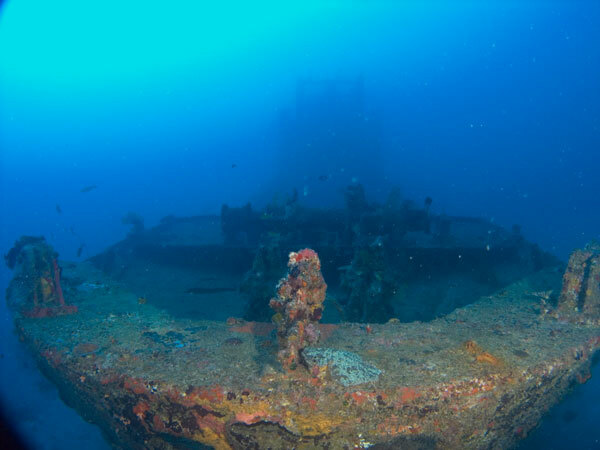 The wreck of the MV Semle Federsen is now located out of Port Vila Harbour towards Pango Point. This is past Ifira Island and near Paradise Cove Resort. 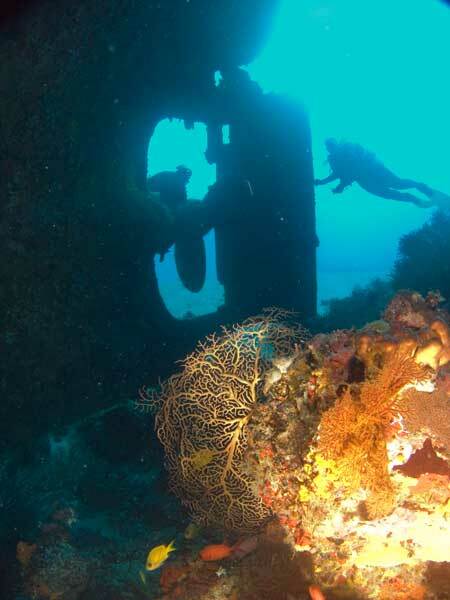 The reef here is called Pango Reef and the wreck is found about 40 metres or so off the main reef. 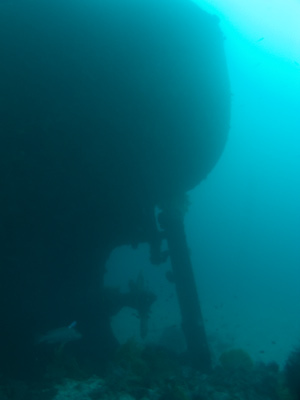 There is a mooring on the wreck as well as one on the reef. The wreck GPS is S17° 46' 10.5" E168° 15' 39.9" using WGS84 as a map datum. The Semle Federsen now sits upright but with a bow down attitude. The bow faces south or south-west. The prop is in about 40 metres (the stern is in about 35 metres) of water and the top of the bow is just under 50 metres and the sand under the bow more than 55 metres. 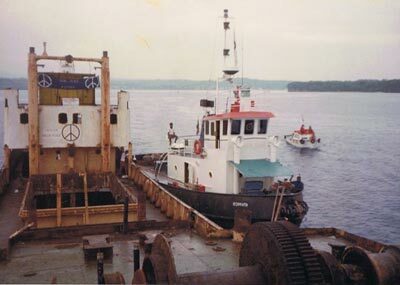 The mooring is attached to the kingpost so it is well positioned for exploring the whole wreck. 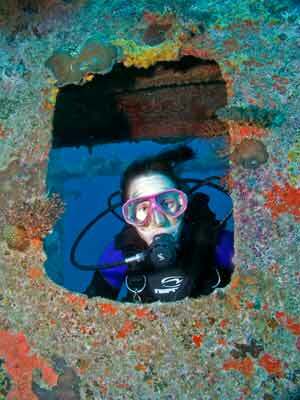 I have now dived the wreck five times. Four times we went straight down the mooring and the other time we started off on the reef mooring and swam out and back to the wreck. This is NOT the recommended way to do it as you lose too much bottom time at the start of the dive. 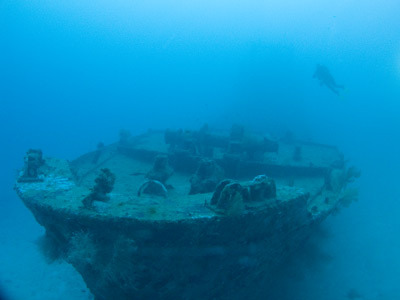 On four of my dives here I could see the wreck almost as soon as I descended. On these dives the visibility was excellent, at least 30 or 35 metres. 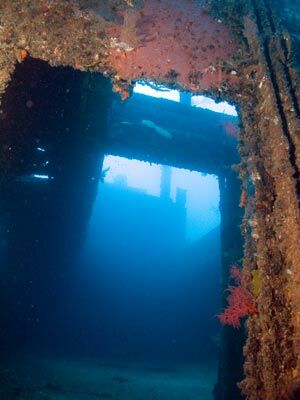 I could even see the entire wreck as I descended and one dive I swam off to the port side of the wreck (41 metres) from where I could also see the entire wreck. One time we had at least 40 metres (see the photo below from bow in May 2010). 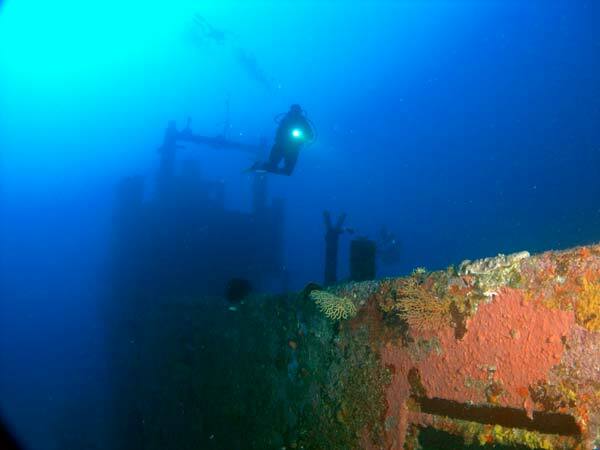 On one dive as I videoed the scene, my buddies reached the deck and started their exploration. I joined them and examined the bridge area (30 to 33 metres) before we dropped into the second hold where I reached 45 metres. The holds are quite large and extend down to almost 55 metres. 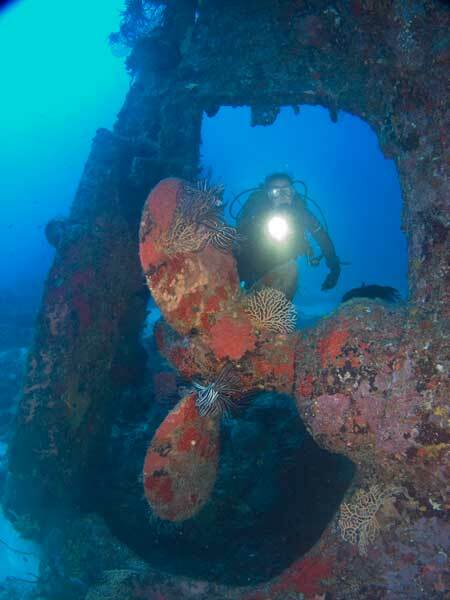 On all my dives we only spent a minute or so in this area before entering the engine room from the hold. 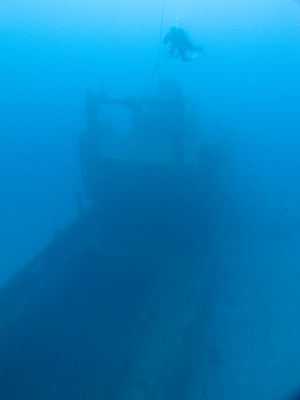 On other dives here we have gone to the bow and could see all the way back to the bridge. See the photograph above of this view. You can swim back over the winches and bollards and then enter the holds. The engine room is very spacious area, unlike the engine room of the similarly sized Henri Bonneaud at Santo which is very tight and cramped. We swam around, looking at everything to be seen and then exited through a hatch into the lower bridge area before moving outside onto the deck. 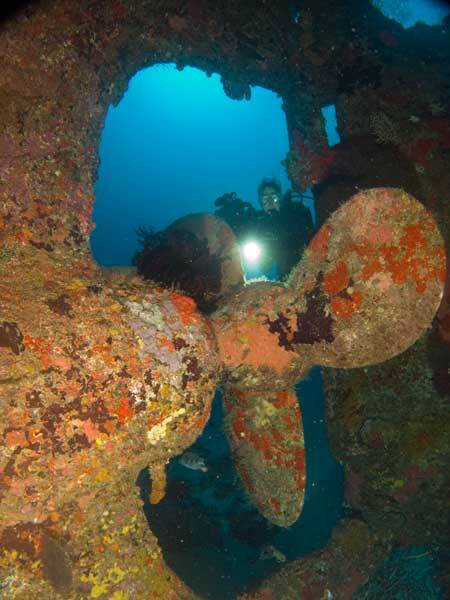 You can get some excellent video footage or photographs of the stern from out behind the wreck. Drop down and look at the prop and rudder before moving back up to the top deck (about 30 metres). You will easily be able to do a 16 minute bottom time. An alternative if other divers on the boat opt to dive the shallower Pango Reef, you can swim over to the reef and complete your dive in this area. It is quite interesting. All in all, this was an excellent dive. The Semle Federsen is well worth doing if you ever visit Port Vila. 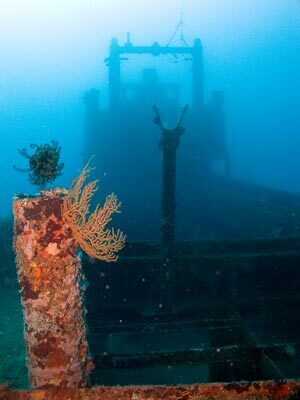 Less experienced divers (say with more than 50 dives) should have no problem with this wreck if they are with more experienced divers. As I indicated above, the visibility on my dives here have all been excellent. It has generally varied from 30 to 40 metres. The water temperature is between 26°C and 28°C.